Magikarps… I remember the first one I ever captured. Actually, I didn't so much as capture it as I paid a man 500 Pokémon dollars to take the pathetic beast off of his hands. Yeah, I got suckered by the dude at the bottom of Mt. Moon, too. Even in my youth, I was an obsessive completionist. Either way, the point is Magikarp is totally useless to the point where he needs his own game to help him become a force to be reckoned with. And how do we train our Magikarps? We make them fly! Jump! Magikarp, translated from Hanero! Koikingu, is available now in Japan for iOS and Android. 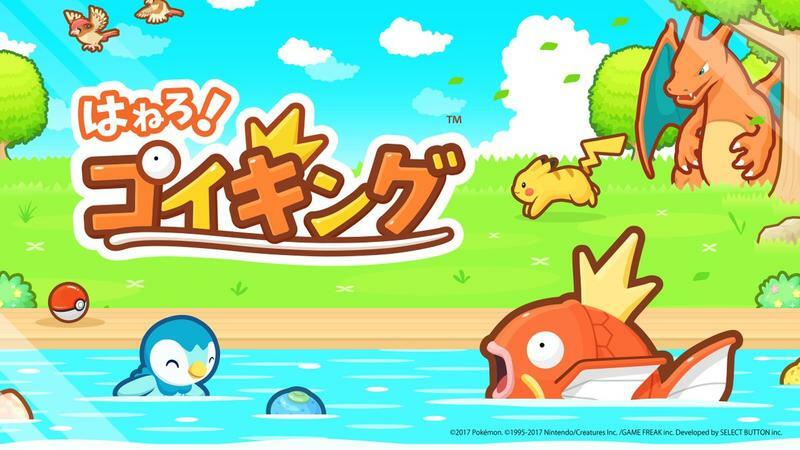 It tasks players with training their Magikarps with the ability to jump sky high! Do it enough, and your Magikarp will love you more… even if you still can't find a use for him until he turns into a Gyarados. The same is currently available only in Italy and Japan. We'll keep an eye out for a stateside release.